If you plan on using your tablet to stream Facebook Live or Instagram, or collect footage for your next viral YouTube video, make absolutely certain it’s properly secured before you hit record. 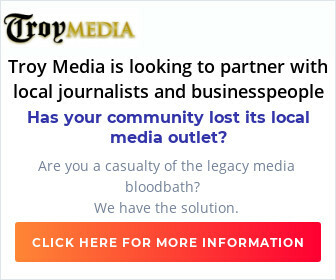 I’ve seen too many people watch in horror as their precious iPad, Galaxy Tab, Kindle Fire or other tablet tumbles to the ground in the midst of recording video. So before you put on your director’s hat, protect your tablet, starting with a shockproof case and a screen protector. 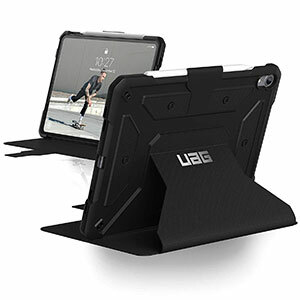 Cases like the Metropolis Series for iPad Pro from Urban Armor Gear (UAG), for example, meet military drop-test standards and protect your device without adding bulk. They’re light and have an impact-resistant soft core, yet allow easy access to your screen and all its ports. This model also has an adjustable and detachable stand. A great companion is the ultra-thin tempered UAG Glass Screen Shield. It won’t scratch, resists fingerprints and won’t hinder functionality. If you’re using your tablet for group entertainment, a kickstand might help. But if you’re shooting video, presenting or performing, a tripod with a proper mount would be better. I cringe when I see someone jerry-rig a tablet mount using duct tape or even flimsy masking tape. Even worse is when someone tries to secure a tablet to a tripod’s camera shoe. It won’t stick properly, especially if the device heats up. It may also leave horrible residue on your device or even ruin your case. While there are a number of mounting solutions, one that does a great job is the Italian-designed iKlip 3 Video by IK Multimedia. The universal system comes with a robust spring-loaded holding bracket, a tripod mount and a thread adapter that can be attached to any tripod or monopod. The bracket expands from 6.29 to nine inches and can accommodate virtually any tablet with screen sizes from seven to 12.9 inches. It has a rubberized soft grip that clamps securely to your device with or without a case and won’t interfere with your tablet’s controls. The tripod mount is made from a thermoplastic, so it’s light and won’t bend or accidentally damage like aluminum. It’s also fully adjustable, with a ball-and-socket joint and a spring-loaded bracket that rotates a full 360 degrees. You can position your tablet exactly as you need it to get the perfect shot. 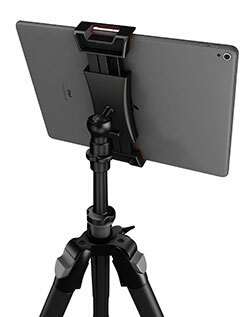 If you’re a musician or you use your tablet for speaking notes or PowerPoint, the iKlip 3 model uses the same bracket as the video version but the mounting hardware is designed to attach to a mic stand rather than a tripod. That allows you to secure your tablet close to your mic. It also has a velcro slot so you can secure your cables or other accessories. And you can pair iKlip 3 with the free iKlip Stage app for iOS or Android to help turn your pages while performing or presenting. It will also manage your files. 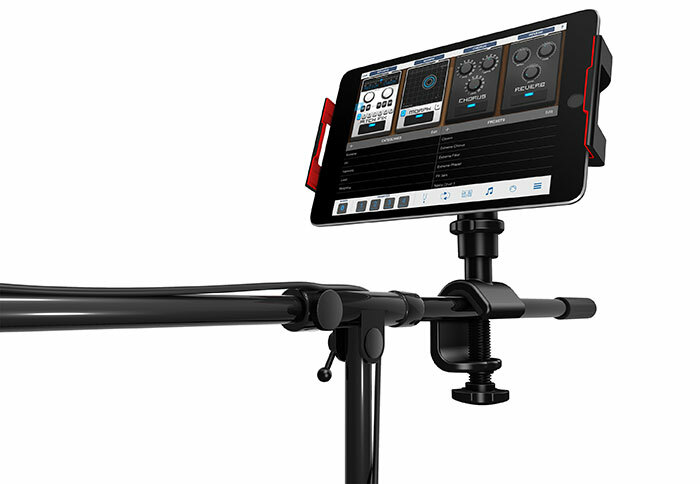 The iKlip 3 Deluxe bundle contains a holding bracket and both the mic stand and tripod mounting kits. The iKlip 3 and iKlip 3 Video retail in Canada for $59.99; the iKlip 3 Deluxe is $89.99 and can be found on Amazon and at music retailers like Long & McQuade. 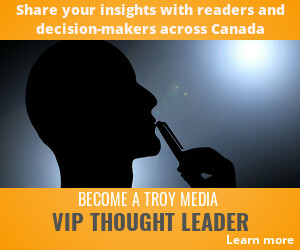 Troy Media columnist Greg Gazin, also known as the Gadget Guy and Gadget Greg, is a syndicated veteran tech columnist, communication, leadership and technology speaker, facilitator, blogger, podcaster and author of the children’s book Corey OutSMARTs the Butterflies. Reach him @gadgetgreg or at GadgetGuy.ca.